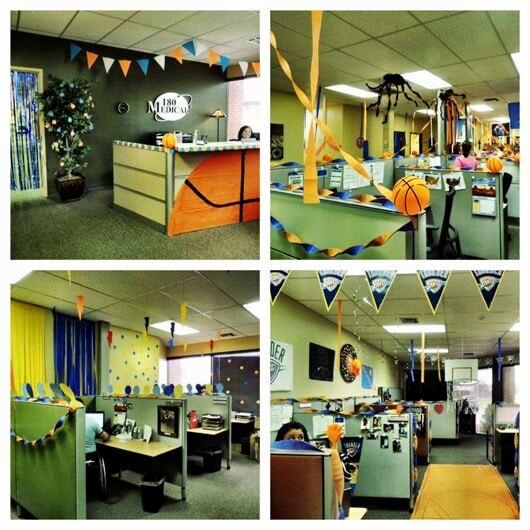 For the past two years, our employees have shown their team spirit with office decorating contests to cheer on own hometown team, The Oklahoma City Thunder leading up to the NBA Finals. 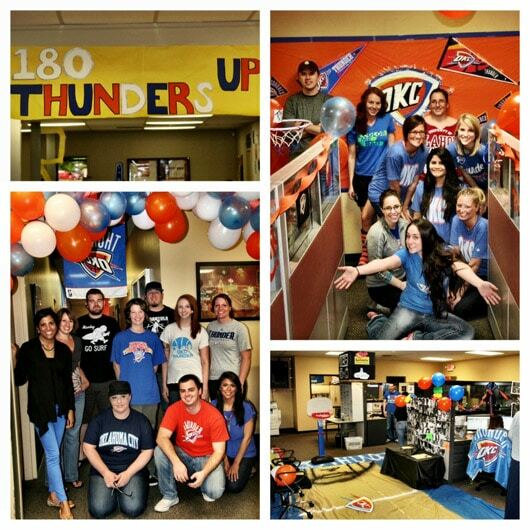 Here are just a few of the photos that show our love for the Thunder and how 180 Medical is “Thundering up”! Interested in a job with a positive, friendly atmosphere? Check out some of the fun we have here at 180 Medical during NBA play-offs season. On Veterans Day, we love to take time to recognize and honor our United States military veterans. In our latest blog, meet two of 180 Medical’s employees who are Air Force veterans!